The first hotel from Detroit’s luxury watchmaker Shinola and developer Bedrock is open for business. The adaptive reuse project in Downtown Detroit, which has placed three new buildings as connective tissue between the former Singer Sewing Machine store and the Meyer Jewelry Building, is now taking reservations for stays beginning January 2, 2019. To celebrate the project’s completion, Shinola and Bedrock have released a batch of new photos detailing the hotel’s interiors, and the Shinola touch is prevalent throughout. 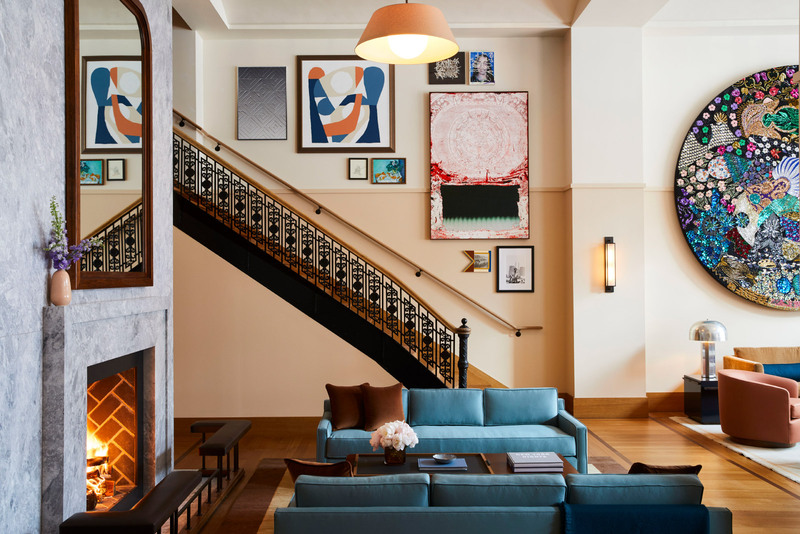 The 129-room Shinola Hotel was a collaborative design effort between the New York–based Gachot Studios and the Detroit-based Kraemer Design Group. The end result features 50 different room configurations, ground-floor retail, and a line of Shinola products specially made for the hotel (including a desk clock, alpaca throw blanket, and a candle) across the complex’s five buildings. 1400 Woodward Avenue, built in 1915 and expanded in 1925, has been described by the Kraemer Design Group as “Detroit’s best example of art nouveau Sullivanesque-style architecture.” The former department store is the largest building in the full-block hotel, and a 1,600-square-foot Shinola store opened at the building’s base on November 23. The other existing building, a much shorter neo-classical storefront at 1416 Woodward, was built in 1936. Two of the new buildings, one five stories tall and the other eight-and-a-half stories tall, will open on Woodward, with a final, retail-oriented building on Farmer Street. A multi-story sky bridge will cross the alley at the back of the development and encourage circulation throughout the complex. 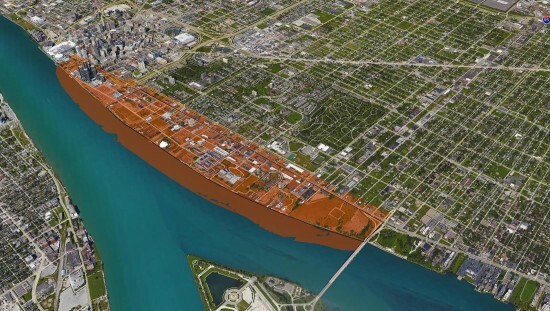 Detroit is now home to the newest Under Armour Brand House. The multistory sports-apparel showroom and store is housed in the historic 1917 Kresge Building in downtown Detroit. Local Kraemer Design Group (KDG) worked as historic consultant and architect of record on the project, and Sachse Construction was general contractor. Working with Bedrock, the building owner, KDG worked to maintain protected historic features throughout the project including the original marble walls and the brass handrails in a monumental staircase. At the same time, the space was altered to fit Under Armour’s brand. Since much of the space is on a mezzanine level, a new elevator was added, but otherwise the existing conditions in the one-hundred-year-old building were left undisturbed. 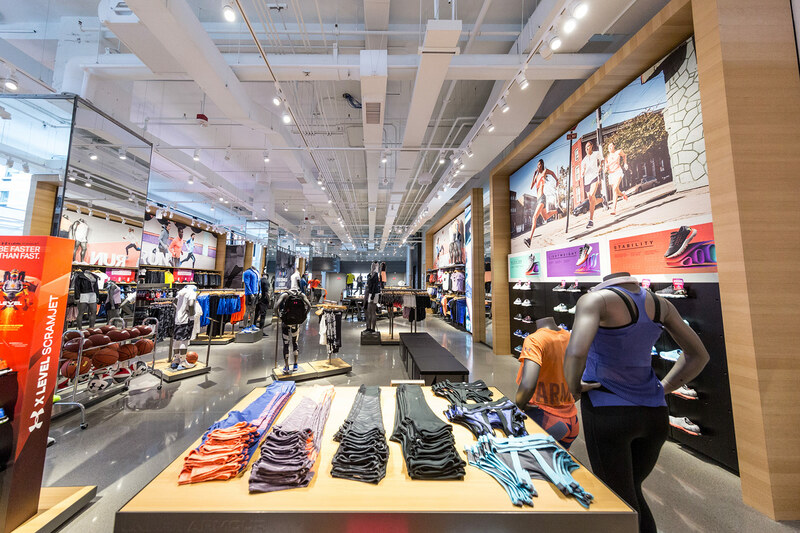 The 17,000-square-foot store is just the latest of in a series of recently opening and planned flagship retail stores in Downtown Detroit, including a large Nike store and a future Warby Parker.